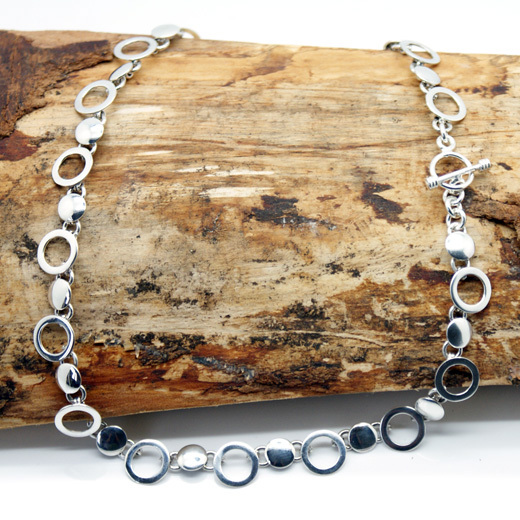 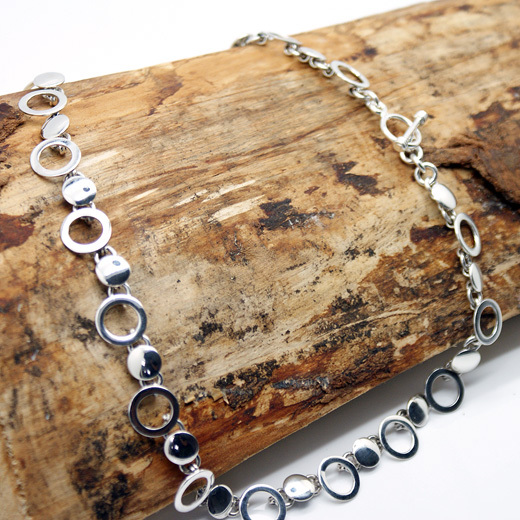 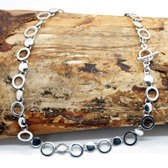 A smart and stylish Andea sterling silver discs and circles necklace. This pretty handcrafted piece from Andea Jewellery is made entirely from 925 sterling silver, it features shiny discs and outline circles on a link chain, fastening with a solid T bar toggle clasp. 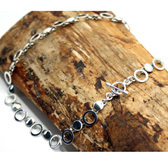 UK items are usually received 1 - 3 days after dispatch.